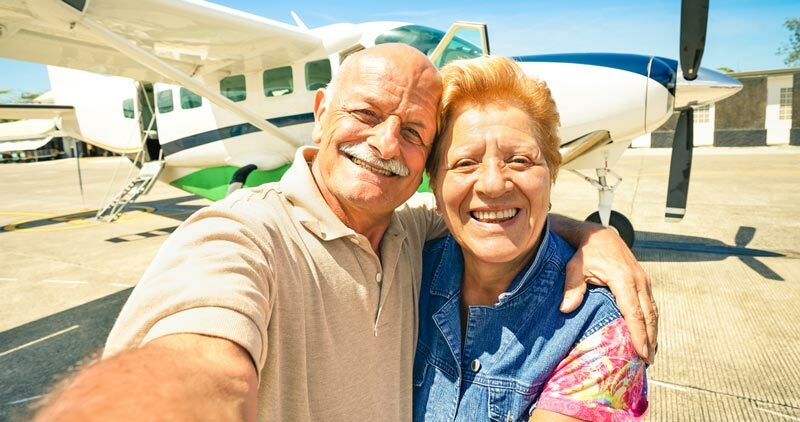 Regardless of whether you are a snow bird flying south to get away from the cold winter season or you’ve decided that travel to new places is on your bucket list, there are two important things – aside from cash – to have in your wallet: Your MIDEO™ (My Informed Decision on VidEO) card and your Global Rescue® Protection ID. Leaving home without this information leaves decisions about your medical care as well as your safety up in the air. Hopefully most of your travels won’t involve a trip to the emergency room or hospital. But, if for some reason you need to get out of a region or country fast, what would you do? Global Rescue® is the leading provider of integrated medical, security, and travel risk response services worldwide. The need for an emergency evacuation, especially in a foreign country, could cost you well over $100,000. Keep in mind, the medical systems in other countries tend to be socialized and in some cases even rationed. Global Rescue® gets you home safely when the worst happens. Their critical-care paramedics and military special-operations veterans are on stand-by to give members immediate access to medical and security experts and unparalleled deployment resources. In addition, because of their relationship with Johns Hopkins Emergency Medicine/Division of Special Operations Medical System, they provide the necessary lifesaving medical therapies as soon as they arrive on scene and continue these treatments until you safely arrive home. Global Rescue® provides a process that is aligned with the MIDEOTM card that will quickly evacuate you and your family back to the United States.